Iceland is an extraordinary, fascinating country, which amuses its visitors not only with breathtaking scenery. When you decide to visit the island, you will be overtaken not only with the views but also… food. It can taste really great, but sometimes it may also arouse quite a controversy. We came to Iceland with the thought of eating deliciously fresh fish and other marine delicacies. After the first feast in the company of Icelanders, we realised that Icelandic cuisine would be even more than intriguing. So here is the holy trinity of Icelandic culinary scene. Remember that these snacks are not only an attraction for visitors looking for excitement. Icelanders truly love them and eat them with a really great pleasure. Let’s take the first crack at Hákarl. 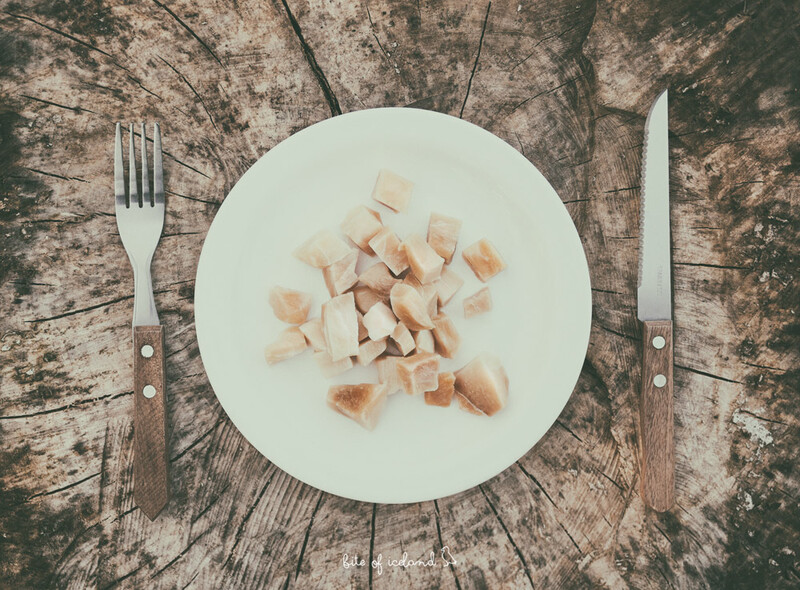 Hákarl is an Icelandic traditional dish of cured, rotten shark, which putrid smell is said to rival its horrifying taste. It’s a true culinary legend, and rumour has it that it’s one of the most awful snacks in the world. Shockingly many Icelanders just adore it, despite its ammonia-rich smell. Many people just wonder why to eat it rotten. Icelanders eat the Greenland shark, which is poisonous when fresh, due to a very high content of urea. It may be consumed, but after being processed. The process of fermentation gets rid of all the poisonous substances. Fermented shark is left at the mercy of wild, arctic winds, but even after all these lashes it still smells awful. The process makes it edible, but the idea of eating it is just crazy, of course not for the Icelanders. If after reading this, you still want to try it, go on. It’s often served in cubes on toothpicks. What’s more, hákarl is an excellent excuse to drink Brennivín, popular Icelandic liquor. Brennivín, also known as Black Death, is potato vodka with cumin aroma, and sincerely just another Icelandic product with a rather bad reputation. Hákarl and Brennivín often create a perfect couple, so first you take a hazardous bite, and then an equally risky sip. Svið from the first sight repels and disturbs, but observing how willingly Icelanders scoff it down, can really fascinate. 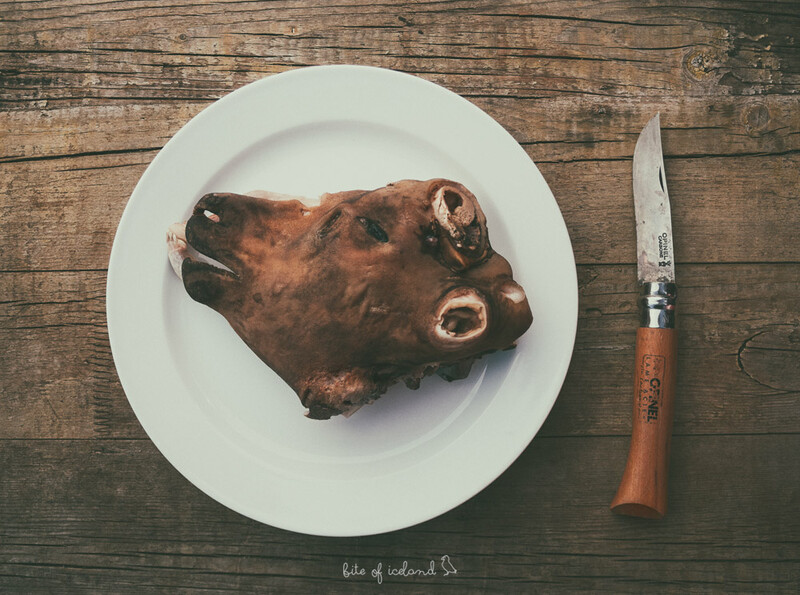 Svið is a traditional Icelandic dish consisting of a sheep’s head cut in half, then singed to remove the fur and after that boiled with the brain removed. It’s served as delicacy itself, so without spices, sauces and often without side dishes, and if with them, then in a company of two types of purée – potato and turnip. 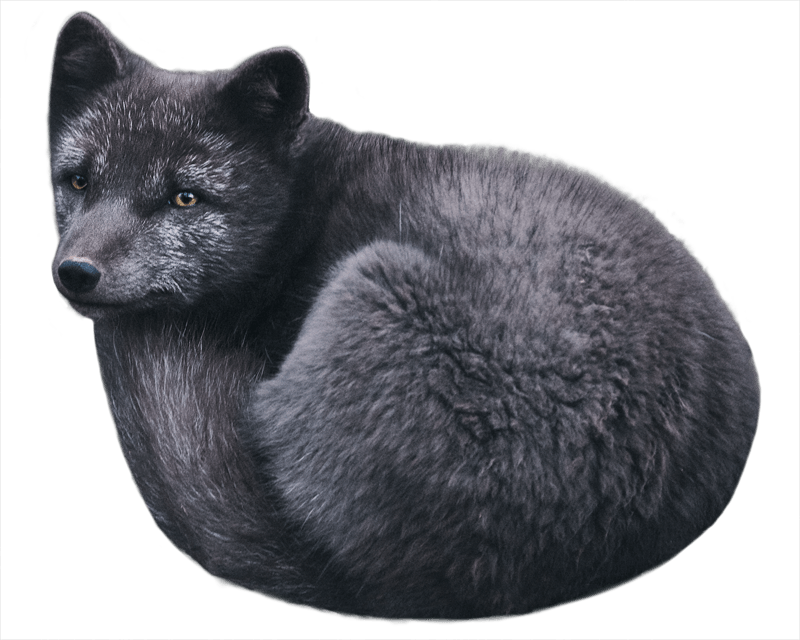 Svið is full of something wild and primal, so it’s a treat for brave explorers and fans of culinary curiosities. 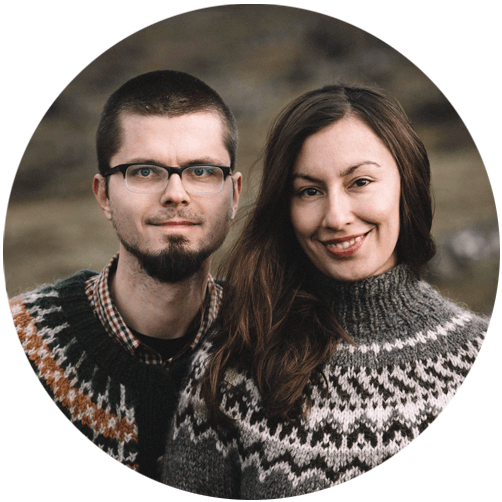 Many Icelanders consider eyes to be the most delicious part of the head. In the past svið served without the ears was considered a taboo. Ears have always had a mark of the animal’s owner. For a long time, people tried not to cut them due to the superstitious belief that when they are removed, the one who eats such svið, will be accused of theft. Nowadays all sheep heads, which you can get in grocery stores, are sold without ears. Harðfiskur, namely wind-dried fish, most often cod. It’s almost as popular as Icelandic hot dogs. 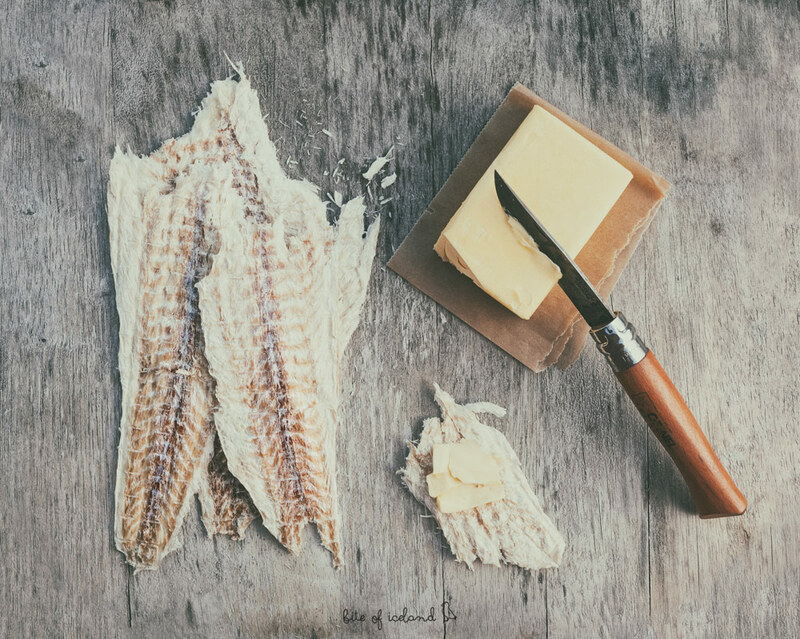 You can buy harðfiskur in every supermarket and at every petrol station – Icelanders love to have this special snack on hand. The most controversial thing about harðfiskur is its smell. An awful, unbelievably bad aroma, which can nauseate more sensitive people. It’s like a fish market aroma in a concentrate. The worst thing is the first step when you must open the package and bad smell just explodes in your face. But if you open the window, then put fish on the plate and wait for a while, it is fine and really tasty. There are a few types of harðfiskur. Some of them are difficult to bite, and other resemble fish chips. All of them are very healthy, filling and nutritious. Icelanders like to eat it with the creamy butter on top. Adam is a huge fan of harðfiskur, especially with a glass of beer, and I, to be honest, haven’t tried it because of the smell. And what about you? Would you be so brave to try them? Or maybe you have already? If you wonder where you could try all these delicacies, check out a guide to best places to eat in Reykjavik. Oh lord, this is something! Though a little creeped out by the sound of rotten shark, I am certainly glad I landed on this post. Learnt something new, something I will google up and read more about. Thanks! I always thought of Iceland to be more of an astounding scenic experience. But the culinary trail sounds like something. I am doubtful I’d enjoy the rotten shark, but I can’t deny it’s intriguing! Being a vegetarian most of it is off putting for me. The rotten shark and the sheep’s head is something I will never even dream of putting in my mouth. Never mind, I will settle for potato vodka. Haha. I thought I’m brave for trying all sort of random food in Asia. Deep fried bugs, starfish and various cuts of animals inners, but rotten shark? That’s another level of hardcoreness. Bravo to you! It seems like Icelanders love smelly food. These delicacies will surely challenge an adventurous taste bud and nose! ???? Indeed, an interesting post! ???? Wow if this is the kind of stuff they eat in Iceland it makes me wonder if I’d be able to find any vegan food in restaurants there. Maybe when we go there we’ll have to self cater and get all our food from the grocery store. I can understand why people would eat rotten shark and a sheeps head to survive but not when you’ve got other choices. It’s not so bad 😀 You can find some vegetarian food 🙂 Icelanders still eat rotten sharks and other controversial food because they love their traditions. Wow. I am not much of a foodie and generally food posts put me to sleep. But this the most singularly entertertaining, horrifying, and mindlowing food post ever. I am sure I won’t be able to consume any of them but will show them to people who complain about spicy Indian food. I definitely want to try Harðfiskur. It sounds so new yet tasty… I am used to fish aroma. So I am wondering how strong can the aroma get. The other 2 will be a big no from me. Great pics… they give a good idea. Oh my goodness….. We are foodies and when we went to Europe we tried all the traditional dishes of the country we visited – like raw herring in Amsterdam. This however I think we would have to really have the stomach and will for it. I might have missed it, but did you actually eat these traditional dishes??!?! Was it just all in the mind and in the end it was actually good food? This dishes really blow my mind. Awesome post thanks for sharing!